In a few days, I expect that many Gozitans will join the ‘Day 2019 City Workout Exercise, music, and cultural heritage as the crowd moves through the streets of Valletta’. What is the aim of this prodigious event? I believe it is to aid the fight against cancer. I bow my head to the thousands of Maltese citizens and foreigners living on our islands for their incessant fervour to annihilate this gruesome illness once and for all from our midst. At the same time, I pity their hopeless effort because it is not with funds that you fight cancer but with cutting off the heads of the serpent. We can learn from Hydra, which is a serpentine water monster in Greek and Roman mythology with many heads. It is reputed that if you cut a head, two more will grow in its place. This is what we have been doing. The body of this serpentine is progress and the heads are all the great innovations which we welcomed with open arms and great joy. One head is the use of fossil fuel which poisoned the air, debilitated the ozone layer and killed millions of people through cancer. Another was cigarettes, another alcohol, the use of asbestos, pesticides, and so many other related progress inventions. Yet another head of the serpentine are the harmful invisible waves our planet has been fumed with. If you can see the Wi-Fi waves there are only few inches of space between a wave and another. We are plastered with them 24/7. And yes, even with 4G we have sent thousands of souls to the next life through the cancer gate. Today I dedicated a morning of my life to sit down and write this warning to you who wants to listen; that a new deadly head is sprouting on our infamous serpent. It is simply called 5G and it is coming with lots of fanfare and great splendour. Fifth generation is the 2018-19 new Wi-Fi system which promises to make our lives like heaven with self-driving cars, automated ACs, ovens, full house managing? A ‘No More Worries life’. I invite you to Google ‘Dangers with 5G’ and read for yourself. Remember that Alzheimer isn’t normal ageing. Depression isn’t normal sadness. Anxiety isn’t normal nervousness. ADHD isn’t normal hyperactivity. Cancer has exploded. Ignorance is dangerous. The harm 5G does is inside our bodies, not only on our skin. Read what is said about 5G causes: DNA single and double strand breaks; oxidative damage; disruption of cell metabolism; increased blood brain barrier permeability; melatonin reduction; disruption to brain glucose metabolism; and generation of stress proteins. And there is more. As I will watch the thousands of genuine participants in Valletta on February 3 and many dignitaries, I will send you a sincere love wish but at the same time my heart will break as I am seeing this new serpent head marching behind you in the streets of Valletta, laughing at you knowing that in vain is your exertion. Read with what elaboration 5G, the plague of the 21st century, is coming in Malta. Get ready for superfast 5G internet in Malta. Thousands of mobile users across Malta and Gozo will soon have a much faster internet connection. Money makes financiers hide the truth. They hide tests results and they publicize the untruth. “Along with the 5G there is another thing coming – Internet of Things. 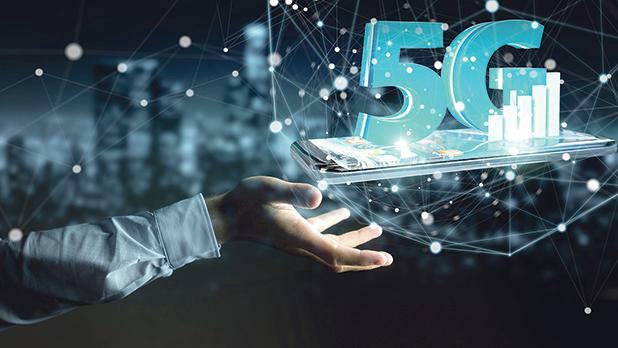 If you look at it combined the radiation level is going to increase tremendously and yet the industry is very excited about it… they project 5G/IoT business to be a $7 trillion business.” – Girish Kumar, professor at Electrical Engineering Department at IIT Bombay. “The new 5G wireless technology involves millimetre waves (extremely high frequencies) producing photons of much greater energy than even 4G and Wi-Fi. Allowing this technology to be used without proving its safety is reckless in the extreme, as the millimetre waves are known to have a profound effect on all parts of the human body.” — Prof. Trevor Marshall, director Autoimmunity Research Foundation, California. “The plans to beam highly penetrative 5G milliwave radiation at us from space must surely be one of the greatest follies ever conceived of by mankind. There will be nowhere safe to live.” – Olga Sheean former WHO employee and author of No Safe Place. “It would irradiate everyone, including the most vulnerable to harm from radio frequency radiation: pregnant women, unborn children, young children, teenagers, men of reproductive age, the elderly, the disabled, and the chronically ill.” – Ronald Powell, PhD, letter to FCC on 5G expansion. But how to protect yourself from 5G? 1. Understand your exposures. Understand the different types of EMFs and how they behave – hence the need to read (and share) articles like this one. 2. Mitigate your exposure. Which means either eliminate the source, move further away from the source of radiation or shield your body. 3. Do not permit (give permission, allow) Wi-Fi companies to attach boosters anywhere on your house. These will be the size of shoe boxes. 4. Do not go to restaurants and establishments which have 5G boosters. 5. Buy an EMF tester (but you have to wait until new calibrated testers are produced because the present testers do not include the 5G frequencies). With this tester you will choose the low EMF places and stay away from High EMF emitting places such as parks, plazas, restaurants, and so on. Use an EMF meter to obtain readings and identify hotspots. I do not expect another Rachel Carson who with her book Silent Spring awakened the world to the DDT horrors. The future will surely show the great escalation in the number of cancer victims because of no other than 5G Wi-Fi of 2019. Anthony Zammit is a retired clerk from Gozo general hospital. He was also a missionary in Peru.